Samsung has launched their latest flagship smartphone in the US, the Samsung Galaxy Note 7 and the handset is also launching in some other countries today. The list of other countries where the Galaxy Note 7 is launching in includes Canada, Australia, New Zealand, Mexico, Taiwan, UAE, Singapore, Korea and Puerto Rico. Featuring a symmetrical dual-edge design and refined user experience, the Galaxy Note7 provides a comfortable grip and easier one-handed operation, despite its large 5.7-inch QHD Super AMOLED display. 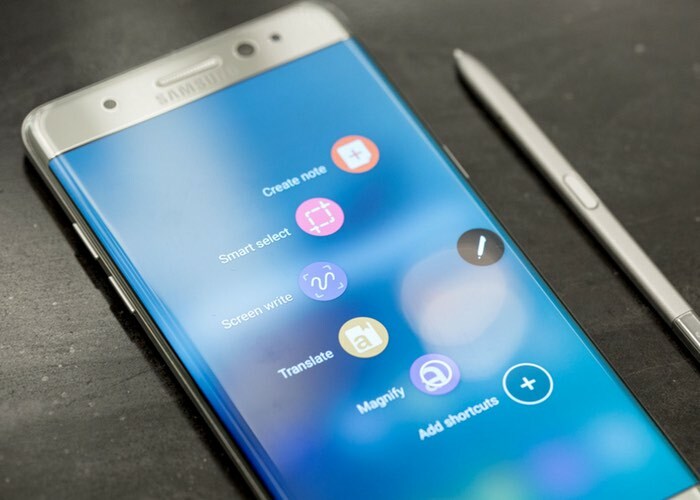 Additionally, the Galaxy Note7 demonstrates Samsung’s category-defining leadership with innovative features including an enhanced, water-resistant S Pen; advanced security that couples Samsung Knox with a new iris scanning feature; and immersive entertainment capabilities with ready-to-stream HDR video. Demand for the new Galaxy Note 7 has been high and it could end up being Samsung’s most popular handset this year.